Mustafa Kemal Atatürk, the founder of the Turkish Republic and its first President, stands as a towering figure of the 20th Century. Among the great leaders of history, few have achieved so much in so short period, transformed the life of a nation as decisively, and given such profound inspiration to the world at large. Emerging as a military hero at the Dardanelles in 1915, he became the charismatic leader of the Turkish national liberation struggle in 1919. He blazed across the world scene in the early 1920s as a triumphant commander who crushed the invaders of his country. Following a series of impressive victories against all odds, he led his nation to full independence. He put an end to the antiquated Ottoman dynasty whose tale had lasted more than six centuries - and created the Republic of Turkey in 1923, establishing a new government truly representative of the nation's will. 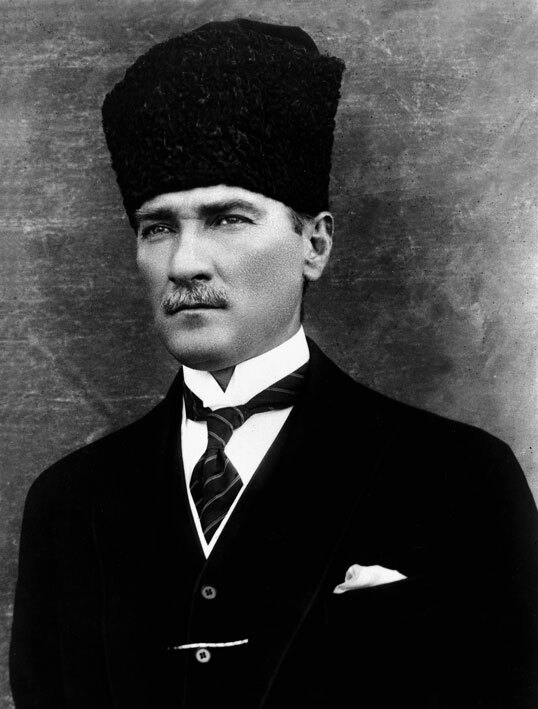 As President for 15 years, until his death in 1938, Mustafa Kemal Atatürk introduced a broad range of swift and sweeping reforms - in the political, social, legal, economic, and cultural spheres - virtually unparalleled in any other country. 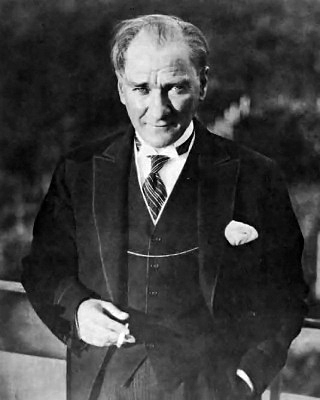 His achievements in Turkey are an enduring monument to Atatürk. Emerging nations admire him as a pioneer of national liberation. The world honors his memory as a foremost peacemaker who upheld the principles of humanism and the vision of a united humanity. Tributes have been offered to him through the decades by such world statesmen as Lloyd George, Churchill, Roosevelt, Nehru, de Gaulle, Adenauer, Bourguiba, Nasser, Kennedy, and countless others. A White House statement, issued on the occasion of "The Atatürk Centennial" in 1981, pays homage to him as "a great leader in times of war and peace". 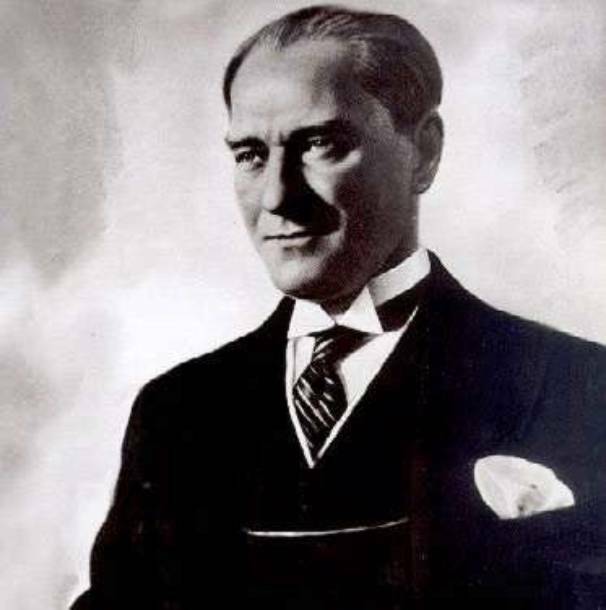 It is fitting that there should be high praise for Atatürk, an extraordinary leader of modern times, who said in 1933: "I look to the world with an open heart full of pure feelings and friendship". 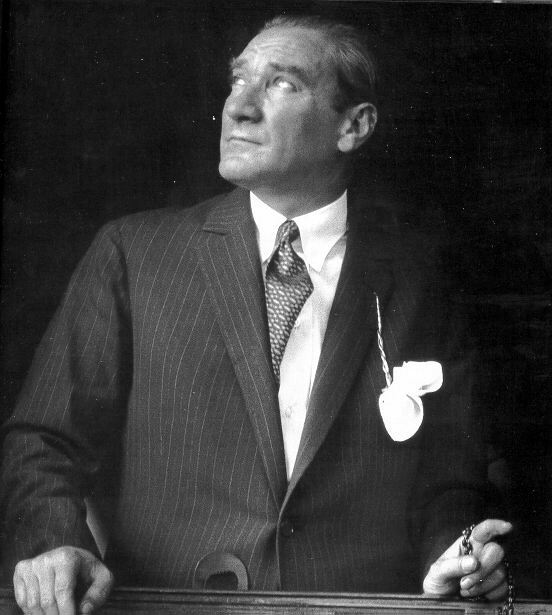 Mustafa Kemal Atatürk was born on 12 March 1881 in Salonika (now Thessaloniki, Greece) in what was then the Ottoman Empire. His father was a minor official and later a timber merchant. When Atatürk was 12, he was sent to military school and then to the military academy in Istanbul, graduating in 1905. In 1911, he served against the Italians in Libya and then in the Balkan Wars (1912-13). He made his military reputation repelling the Allied invasion at the Dardanelles in 1915. In May 1919, Atatürk began a nationalist revolution in Anatolia, organising resistance to the peace settlement imposed on Turkey by the victorious Allies. This was particularly focused on resisting Greek attempts to seize Smyrna and its hinterland. Victory over the Greeks enabled him to secure revision of the peace settlement in the Treaty of Lausanne. 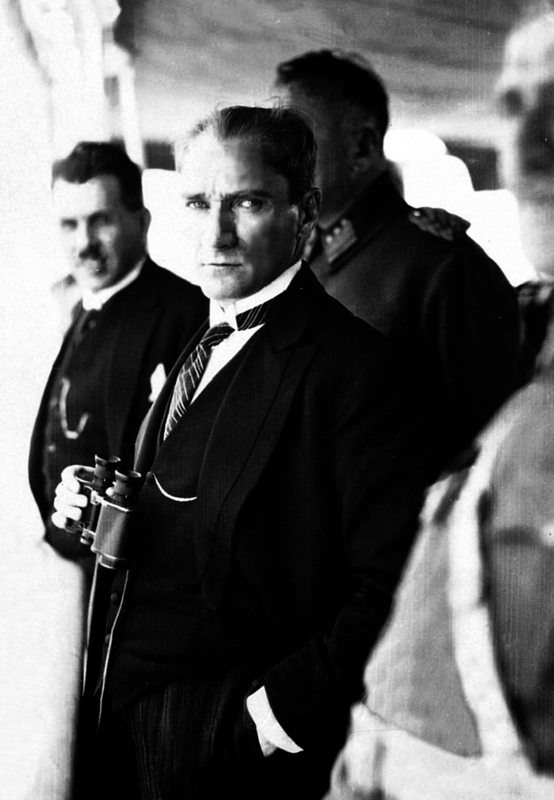 In 1921, Atatürk established a provisional government in Ankara. The following year the Ottoman Sultanate was formally abolished and, in 1923, Turkey became a secular republic with Atatürk as its president. He established a single party regime that lasted almost without interruption until 1945. He launched a programme of revolutionary social and political reform to modernise Turkey. These reforms included the emancipation of women, the abolition of all Islamic institutions and the introduction of Western legal codes, dress, calendar and alphabet, replacing the Arabic script with a Latin one. Abroad he pursued a policy of neutrality, establishing friendly relations with Turkey's neighbours. In 1935, when surnames were introduced in Turkey, he was given the name Atatürk, meaning Father of the Turks. He died on 10 November 1938.